There are two tax abatements that municipalities can use to attract new commercial development. Cities and villages (and townships for commercial rehabilitation) are eligible to use commercial tax abatements to encourage the replacement, restoration and new construction of commercial property. New taxes can be abated for up to 10-12 years. Both incentives require that the community first establish the targeted property as either a Commercial Redevelopment District or a Commercial Rehabilitation District, respectively. 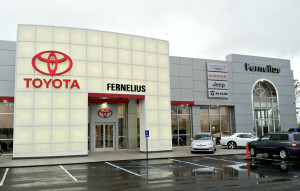 Fernelius of Cheboygan, $3+ million expansion in 2011. The Commercial Rehabilitation Act (P.A. 210 of 2005, as amended) affords a tax incentive for the rehabilitation of commercial property for the primary purpose and use of a commercial business or multi-family residential facility. The property must be located within an established Commercial Rehabilitation District. Exemptions are approved for a term of 1-10 years, as determined by the local unit of government. The property taxes are based upon the previous year’s (prior to rehabilitation) taxable value. The taxable value is frozen for the duration of the certificate. Applications are filed, reviewed and approved by the local unit of government, but are also subject to review at the State level by the Property Services Division. The State Tax Commission (STC) is responsible for final approval and issuance of certificates. Exemptions are not effective until approved by the STC. Click here for a fact sheet. Commercial Facilities Exemption (P.A. 255 of 1978, as amended) affords a tax incentive for the redevelopment of commercial property for the primary purpose and use of a commercial business enterprise. 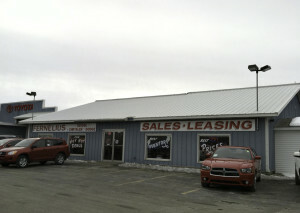 The property must be located within an established Commercial Redevelopment District. Exemptions are approved for a term of 1-12 years as determined by the local unit of government and the taxable value is frozen for the duration of the certificate. For restored facilities, the property taxes are based upon the previous year’s (prior to restoration) taxable value and 100% of the mills levied. For new or replacement facilities, the property taxes are based upon the current year’s taxable value and 50% of the mills levied. Applications are filed, reviewed, approved, and certificates are issued, by the local unit of government. Certificates are also filed with the State Tax Commission. Click here for a fact sheet.